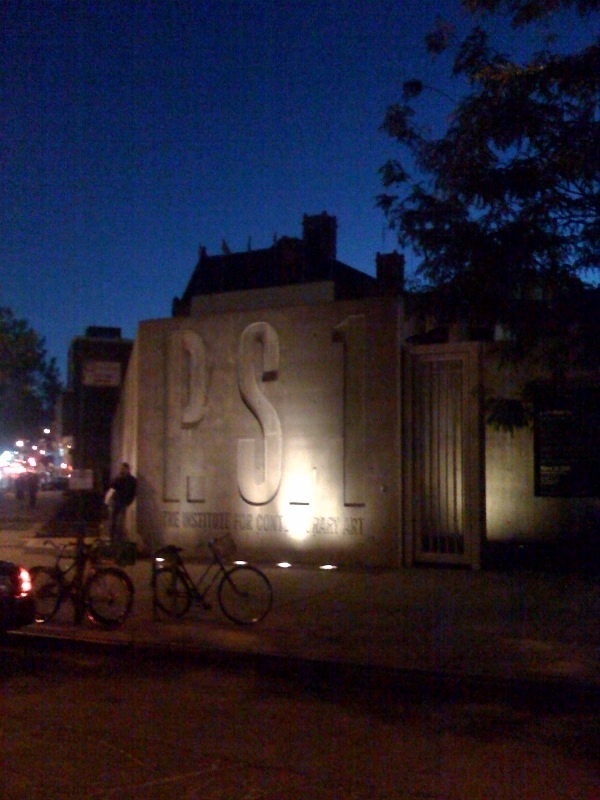 When I left work Friday, I thought I would try to arrive at Michael Pollan’s lecture at P.S.1 ten minutes early, but when I got off of the 7 train and turned the corner on Jackson Avenue, I realized I had not planned for the mob of Michael Pollan groupies who had surrounded the museum. The line outside P.S.1 at 6:50pm wound round the block, the next block, and then the next block again. I’m not sure exactly where I was in the line but people just kept showing up. While I was waiting in line, a guy jumped out into the street directing a school bus to pull in front of the museum. The website on the side of the bus read thewhofarm.org. I thought if I had been eating a Big Mac I would have had organic milk thrown on me. More on the magic bus later. After about 15 minutes or so of standing in line, a P.S.1 employee approached us (I was having serious doubts about even getting in at this point) and let us know that they were running out of space in the lecture hall. The line was still moving, so I decided to wait it out. When I got to the front, they really weren’t letting anyone else in. I said I would just pay the suggested $5.00 donation just to check out the situation. 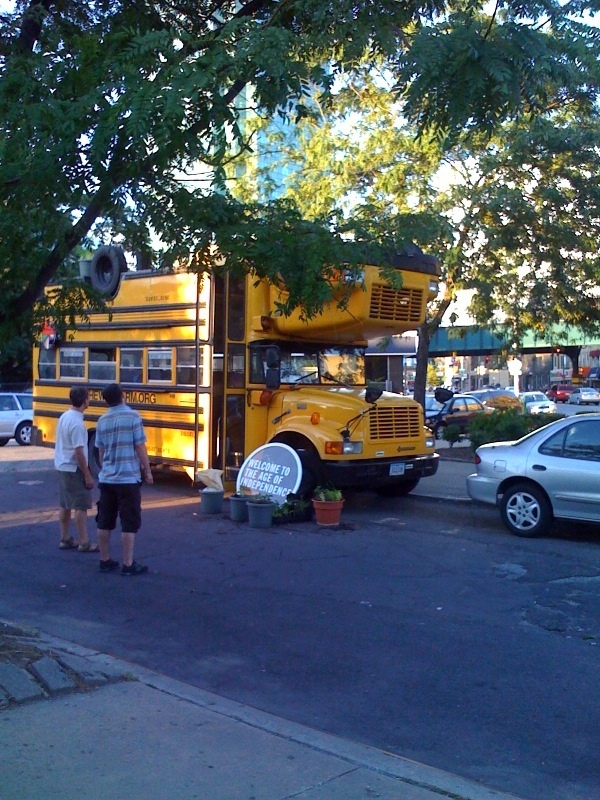 I was then approached by Daniel from the White House Organic Farm project, thus the school bus and all the excitement out front. He let me know they were starting a petition for the next president to plant an organic farm on the front lawn of the White House. Visit www.thewhofarm.org for more information and to sign up for their mailing list. I then made my way to the lecture hall and ended up with a spot standing in the back but I could still hear and see (the reflection of Michael Pollan in the mirrored ceiling) so that was something. 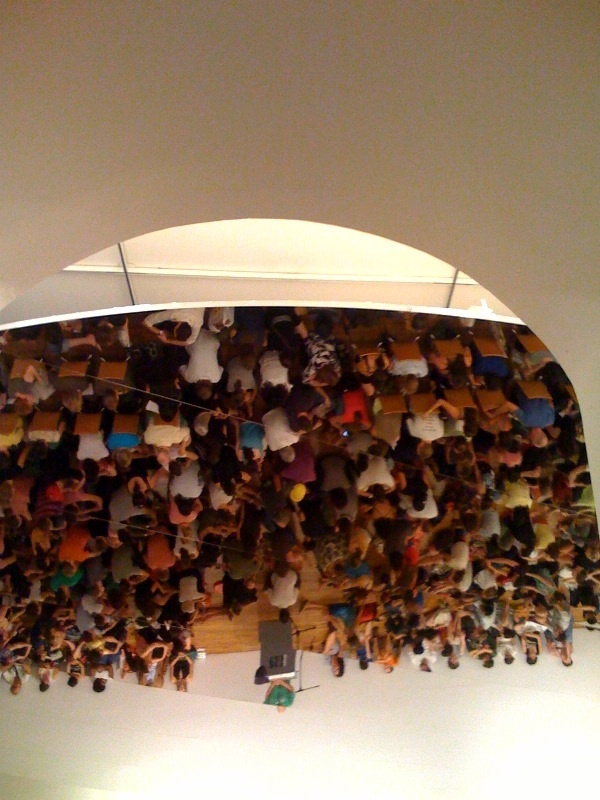 My view of P.S.1 Lecture Hall in the mirrored ceiling. Michael Pollan started out by asking a question “What if we looked at it from the plant’s point of view?”. As human beings, I’m not sure if we are humble enough to put ourselves in this position, but I give Pollan credit for asking. He then described where his interest in investigating this topic stemmed from ten years ago. His thought process started while he was planting potatoes in his garden in Connecticut. If I had a little plot of land, I might have major epiphanies too. What I thought about as Pollan continued to speak was – how could I not have learned about the relationship between plants and animals and their relationship to land in school? What seemed to me to be the most basic of premises on which farms are built had eluded me for most of my life. Now here I am living in Brooklyn wondering about farms and how I can get on one. As I left P.S.1 Friday night, I felt like I really needed to get closer to my food, to engage in more of a dialogue with it. I needed to get on a farm. When I woke up Saturday morning, Jonathan and I got on our bikes and rode to the Added Value farmer’s market in Red Hook. 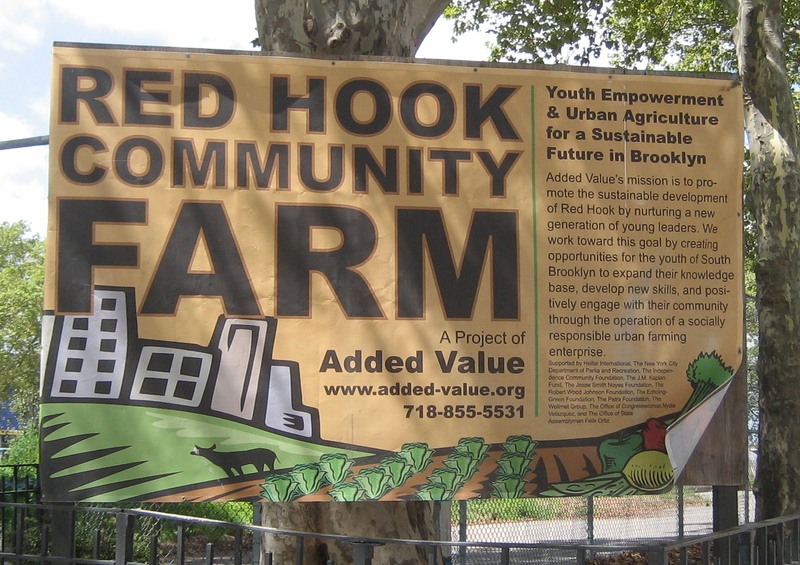 Tucked away at the very end of Columbia Street, sits Red Hook’s very own farm where I will hopefully be volunteering next Saturday from 9:00am until 3:00pm and getting closer to where my food comes from. Do you know where your breakfast comes from? A few Sundays ago, my husband Jonathan and I woke up late (not sure whose fault that was) and headed over to the Carroll Street farmers market. Our first stop was Bread Alone. They unfortunately did not have any granola that day but what they did have were flakey, buttery croissant. Jonathan picked out some beef breakfast sausage from Grazin’ Angus Acres – www.grazinangusacres.com. 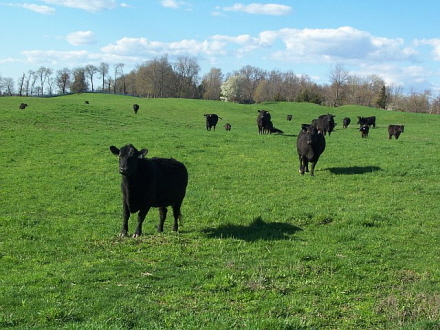 The steer raised at Grazin’ Angus Acres are 100% grass-fed. It is important to note that the cows are grass fed because cows have rumen (cows are also called ruminants) and are meant to eat grass. A ruminant is an animal that chews its cud and has a three or four chambered stomach. One of those chambers is called a rumen. I am learning all about why it’s natural for cows to enjoy a diet of grasses from Michael Pollan’s The Omnivore’s Dilemma: A Natural History of Four Meals and why it is unnatural for cows to live on a diet of corn. You might want to think about this the next time you find yourself shopping for beef at the supermarket. Maybe you should pick up Michael Pollan’s book first. On our walk home, Jonathan and I stopped at Stinky Cheese on Smith Street for some four year Grafton Cheddar from Vermont. I just have to take a minute here to say that I happened to be carrying one of Dante Hesse’s Milk Thistle (Dante is also the Carroll Street farmers market) glass bottles, when the guy behind the counter at Stinky asked me if he could look at my milk bottle. I proudly handed it over for him to admire and he asked “Where did you get this?” “Down the street,” I replied “at the Carroll Street farmers market.” I then went on to explain that Dante’s chocolate milk was ever so popular. I kid you not but the Stinky guy said he was looking for a new chocolate milk vendor and I told him Dante was at the farmers market at that very minute. After I paid, the Stinky guy went to catch up with Dante, so I hope the next time I swing by Stinky I’ll find Dante’s chocolate milk there. Once home from our exciting outing, we seared the beef breakfast sausage (the breakfast sausage from Grazin’ Angus comes in a natural lamb casing which almost looks like plastic wrap but doesn’t taste like it) and then cooked a few farm fresh eggs in the sausage grease. The sturdy croissant held the bright yellow eggs, a hefty serving of sausage, and a few slices of cheddar cheese. I ate my breakfast sandwich and I was happy. I guess what I want to ask is “do you know where your breakfast comes from?” If you’re answer is McDonald’s, well then, let me be more specific – “Do you know what farm your breakfast comes from?” Shopping locally at farmers markets makes sense. Farmers markets offer up the most personal of exchanges, the opportunity to look the farmer in the eye and ask a few questions. What did this steer have for breakfast? Where do your chickens live? Can you even imagine doing this at McDonald’s? It would be an absolute hoot. I’m sure I would be directed to call someone in PR or something. So, the next time you crave a sausage, egg, and cheese from McDonald’s, take a walk to your local farmer’s market and shop for your own breakfast sandwich ingredients culled from local farms. Enjoy a slow meal while you ruminate on where your breakfast comes from. 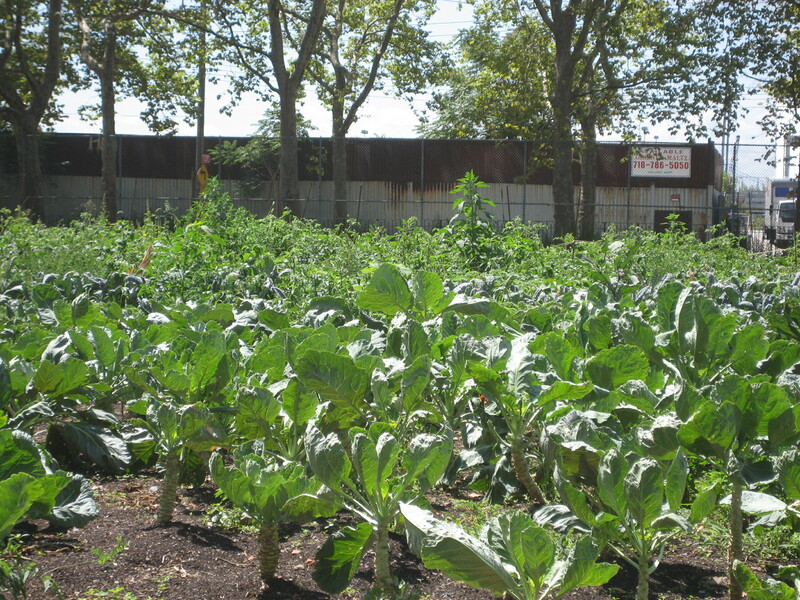 You are currently browsing the Brooklyn Farmer blog archives for August, 2008.